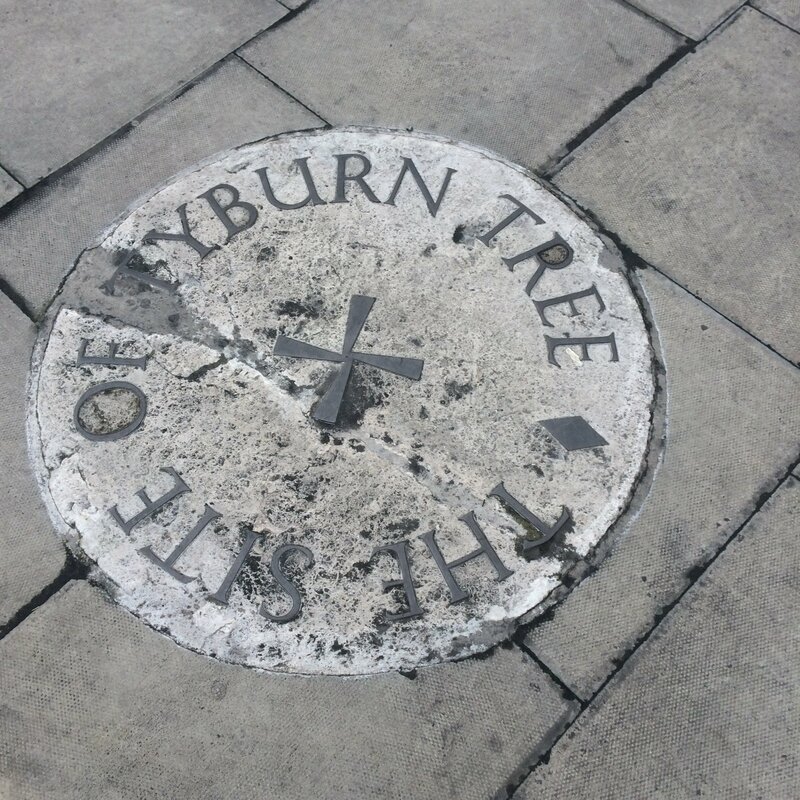 This is a photo of the stone which marks the approximate location of Tyburn Tree. It is located on a traffic island at the junction of Bayswater and Edgeware Roads. 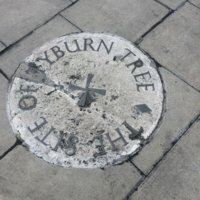 Photo by Kristen Gendron, “Tyburn (memorial plaque in 2015),” Medieval London, accessed April 22, 2019, http://medievallondon.ace.fordham.edu/items/show/146.